Sarath Kumar's 2017 season, his second season in the Asia Road Racing Championship, seems to be going better than an injury-riddled 2016 season. At the third round of the championship, which just ended at the Suzuka race track, Sarath, riding a Honda CBR 600WR, managed to finish 14th in Race 1 and 17th in Race 2. The fact that he finished in the top-15 in the first race was enough to give him two points. This means that the RAMA Honda Racing team by NTS T.Pro Ten10 rider now has nine points after three rounds of the championship's Super Sport 600 class. Sarath's team-mate, Rajiv Sethu, who is competing in the Asia Production 250 class, riding a Honda CBR 250RR, had a tough weekend. Sethu finished 28th in Race 1, and 24th in Race 2. This meant that he scored no points during the weekend. Despite this, John Sudheer of the RAMA Group of companies, who backs both riders seemed positive. "I am quite satisfied with our team's overall performance here at Suzuka. It was heartening that both Sarath and Rajiv showed some improvement and I look forward to the next round in Indonesia in August," he said. The two Indian riders are also backed by Honda Motorcycles and Scooters India and Japan. Meanwhile, Sarath stated that while he improved his timing with each session, he did not have the speed that his competitors had. "As such, I want to review the riding style and be able to run faster in the rounds to follow," he said. Sethu stated, "Although racing at the Suzuka circuit was not the first time because of my participation in the Asian Dream Cup in the previous season, it was still a difficult race, I was riding the CBR 250 RR for the first time here. Yet, it was still a good experience as I was able to put in some good lap times." There were other positives for the team, though. The team's ace rider Taiga Hada finished sixth and fourth in races 1 and 2 in the 600cc class, which puts him fourth in the championship. In the Asia Production class, Tomoyash Koyoma took a third-place finish in both races. The team's fifth rider, Sena Yamada, also scored points in both Super Sport 600 races. 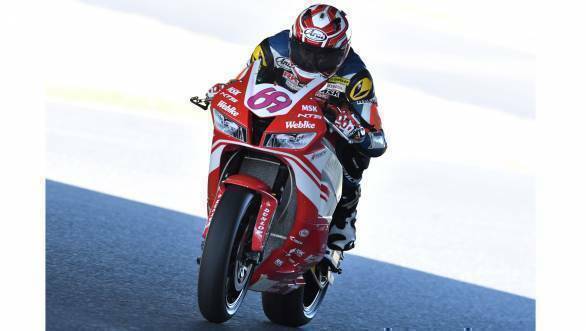 RAMA Honda team director Yusuke Teshima said: "We were aiming to win both AP 250 and SS 600 races, and though we couldn't, it was one more step forward. We will continue to work on the bikes and be better prepared for the next round." The fourth round of the Asia Road Racing Championship will be held in Indonesia in August.